If the Indian government is hoping that it will be able to bring back former liquor baron Vijay Mallya before the country goes to the polls in May next year and show him off as one of their success stories, then they have another think coming. While the British justice system moves much faster than India’s, it is too short a time for Mallya to exhaust all his avenues of appeal and be sent home. The business tycoon’s extradition case is being heard in Westminster Magistrates’ Court in London. The Court has examined “trolly loads” of documents that ran into thousands of pages, seen video films of conditions in Indian jails, questioned a line of witnesses and heard closing submissions from both sides in under a year. Even if the Court rules in favour of extradition (it will deliver its verdict on December 10 this year), Mallya has the right of appeal at various levels right up to the Supreme Court. This can drag the case on for another 18 months to two years. And if all else fails, Mallya can still appeal to the British home secretary, who most likely would make a decision based on political considerations. The flamboyant businessman fled to the UK in March 2016. The Central Bureau of Investigation (CBI) and the Enforcement Directorate (ED) have sought his extradition on the grounds that he committed fraud and laundered money worth Rs 9,000 crore loaned to him by State-owned banks as part of a “criminal conspiracy” with no intention of repaying the loans. Mallya’s defence team led by Clare Montgomery, QC, of Matrix Chambers, a respected specialist in criminal, regulatory and fraud law and best known for her work on legally complex cases, has branded the evidence presented by the Indian government as “utterly unfounded”. The Crown Prosecution Service (CPS), which is arguing the case on behalf of the Indian government, claimed that “from the outset”, Mallya, the owner of the now defunct Kingfisher Airlines, never intended to repay the loans he sought for his struggling airline and misrepresented its profitability. The CPS’s case hangs on it being able to establish prima facie criminality of intent. If there is not enough evidence to support the allegation of crime and the judge feels there are gaps in the evidence, the Indian government will have to offer better evidence, otherwise Mallya will get away. On the direction of Judge Emma Arbuthnot, the CBI had admitted a video of Barrack 12 at Arthur Road Jail, Mumbai, where the self-styled King of Good Times would be lodged if extradited and put on trial in India. Mallya’s lawyers rubbished the video, arguing the barrack had been freshly painted for the Court. “The video clearly shows the gloom that settles on this building, which is encased in what is effectively a steel oven,” said Montgomery. She urged the judge to order a court-led independent inspection of the jail cell to ensure it meets the UK’s human rights obligations. “It is impossible to be satisfied about humane lighting and ventilation. It has clearly been tidied up for the purpose of the video as it does not match up with previous photographs,” added Montgomery. However, Judge Arbuthnot told the CPS that she did not need any more information on prison conditions awaiting Mallya in India. 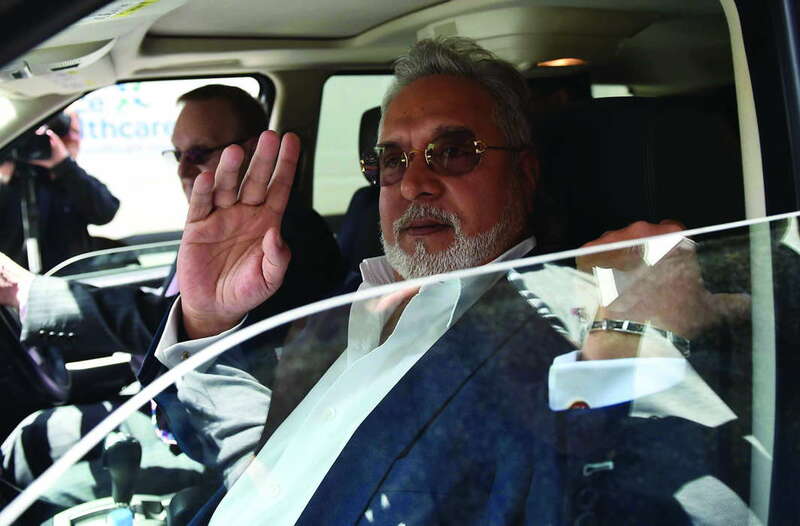 Ironically, the Indian government has been bragging that the Vijay Mallya extradition case has been the first case in which the CBI has responded “very well” and submitted paperwork that holds up in British courts, and that is due to the focus on it by Asthana. The Gujarat-cadre IPS officer is known to be very close to Prime Minister Narendra Modi and is his chosen man in the CBI. Mallya has alleged that this government has an agenda and so made him the “poster-boy of all bank defaults, accused of looting public money and fleeing the nation”, a position he doesn’t deserve as he has tried to sell Rs 13,900 crore of assets via the Karnataka High Court which is enough to repay all his creditors. There are about 60 absconders wanted by the Indian law living in the UK. Ever since the extradition treaty was signed between India and the UK in 1993, not a single fugitive has been sent back. The Indian government by its own admission has worked the hardest on the Mallya case with “joined-up thinking” and attention to detail in both New Delhi and London. One joint secretary in a key ministry was even removed after a delay in producing a vital document to be submitted at Westminster Magistrates’ Court. Indian officials have sat with CPS to understand what is expected of them, both in form and language. They have provided better paperwork such as sovereign assurances on no-death-sentence, human rights issues and prisons than in the past when poor evidential quality resulted in India’s cases failing in the courts. “If after all this effort, India loses the case against Mallya, it will have a negative effect on all other extradition cases. All absconders will believe they will be safe in the UK and India cannot reach them,” said Sarosh Zaiwalla, senior partner of Zaiwalla and Co. In fact, Zaiwalla, the first Indian to start a law firm in the City of London as far back as 1982, advises the Indian government to settle with Mallya and get him to pay his debts. “The important thing is to get Indian money back to India. What if Mallya declares himself bankrupt much like Raj Sethia who spent years in Tihar jail, but the money he owed was never recovered,” Zaiwalla told India Legal. Sethia, one of Zaiwalla’s clients, was a multi-millionaire in the mid-1980s. He lost his Rs 800-crore company, Esal Commodities, and entered the Guinness Book of World Records as the world’s biggest personal bankruptcy case, owing millions to creditors. “India needs to put pressure on western countries to stop their banks from handling corrupt money from developing nations. There has to be a more focused approach to both arresting the person and getting the money back,” said Zaiwalla. “This is a better way to deal with such situations as one cannot be 100 percent sure of any litigation,” he added. Having heard all the submissions, Judge Arbuthnot has her work cut out for her. “There is an awful lot to go over… most important, the prima facie case,” said the judge who called the case a “jigsaw puzzle”. Judge Arbuthnot also suggested that it was “blindingly obvious” from the documents that the banks had not followed their own rules while lending to Mallya’s companies.